Norway is a gorgeous country, and on this itinerary you get to see it via car, ferry, airplane, train, and your own two feet. 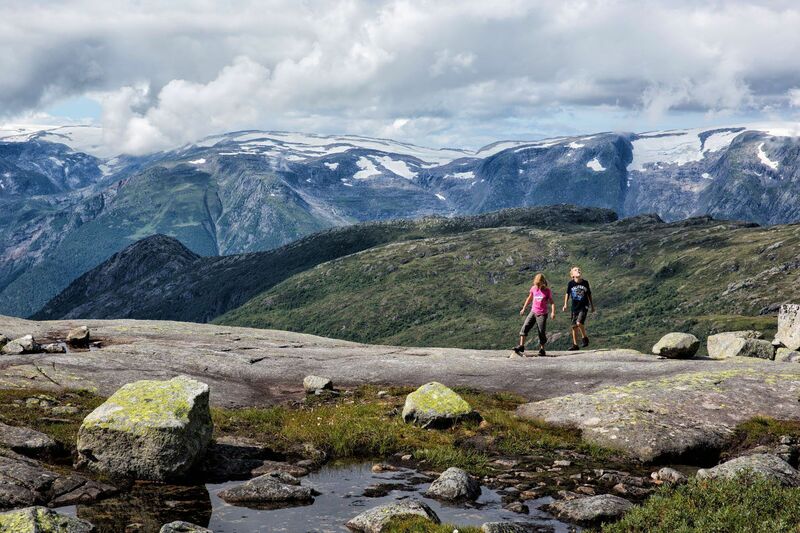 In our opinion, there is no better way to see Norway than by hiking! 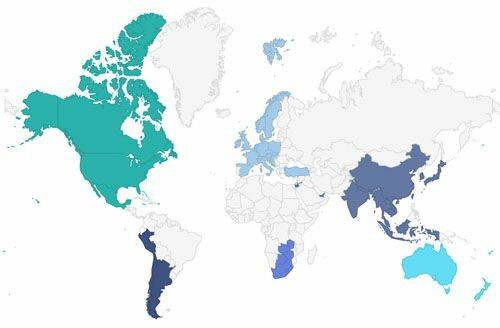 How to Use This Map: Click the tab in the top left hand corner of the map to view the layers (points of interest, hiking trails, and cities). You can click the check marks to hide or show layers. If you click the icons on the map, you can get more information about each point of interest. Arrive in Oslo and catch a connecting flight to Stavanger. Stavanger will be your home base for the next three nights. 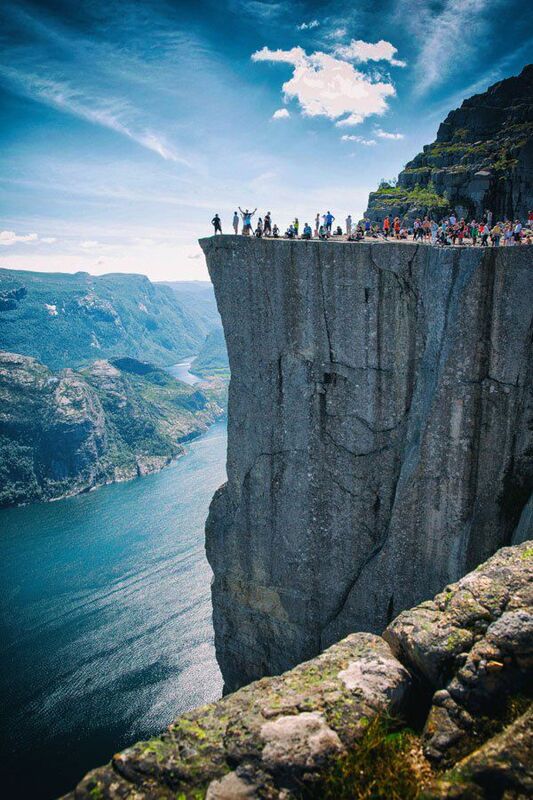 From here, you will hike to Pulpit Rock and Kjeragbolten. Have dinner, get some rest, and tomorrow will be the first Norwegian hike. Where We Stayed in Stavanger: The Comfort Square Hotel. This modernly decorated hotel (with interesting artwork) is located within the heart of Stavanger. Take-away breakfast is available, perfect if you want to grab breakfast and get an early start hiking. Stavanger is connected to Pulpit Rock by public transportation. After breakfast at your hotel, catch the ferry from Stavanger to Tau. 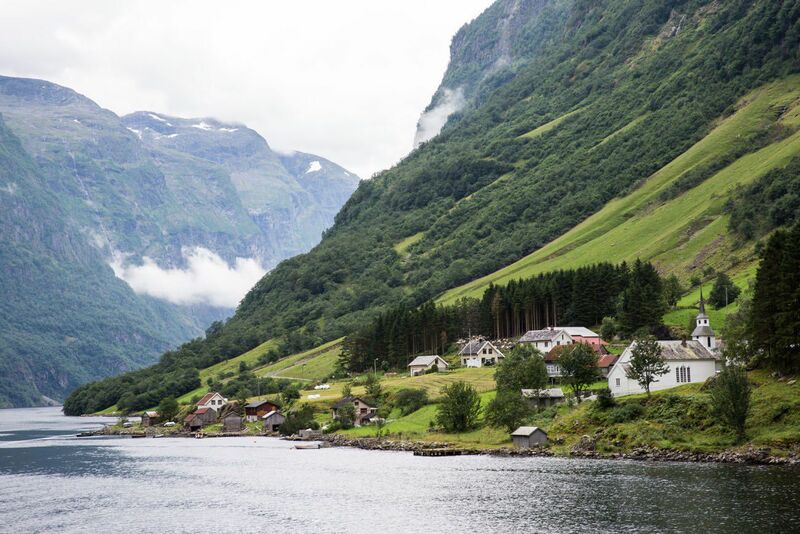 This is a twenty-minute scenic ferry ride, giving you your first glimpse of the Norwegian fjords. Once in Tau, there is a bus service that will drive visitors to the start of the Pulpit Rock hike. 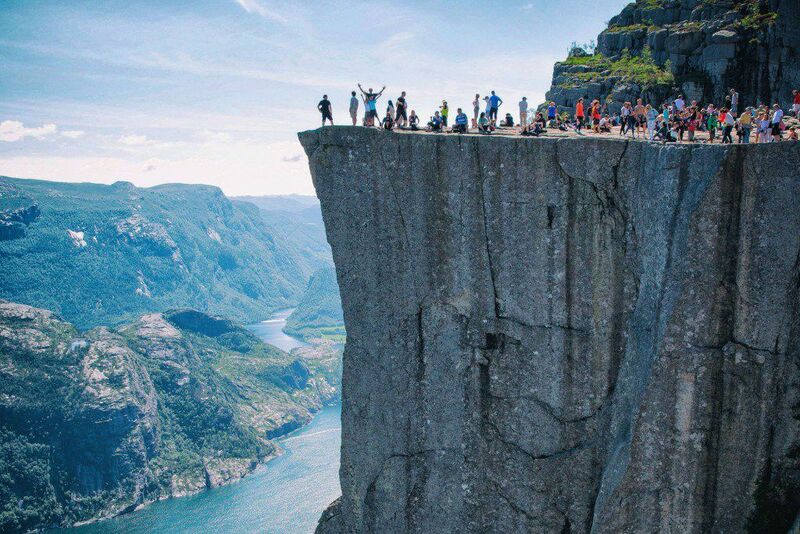 The hike to Pulpit Rock is Norway’s most iconic hike, with views of the Lysefjord and this slab of rock that almost looks like it is from another planet. 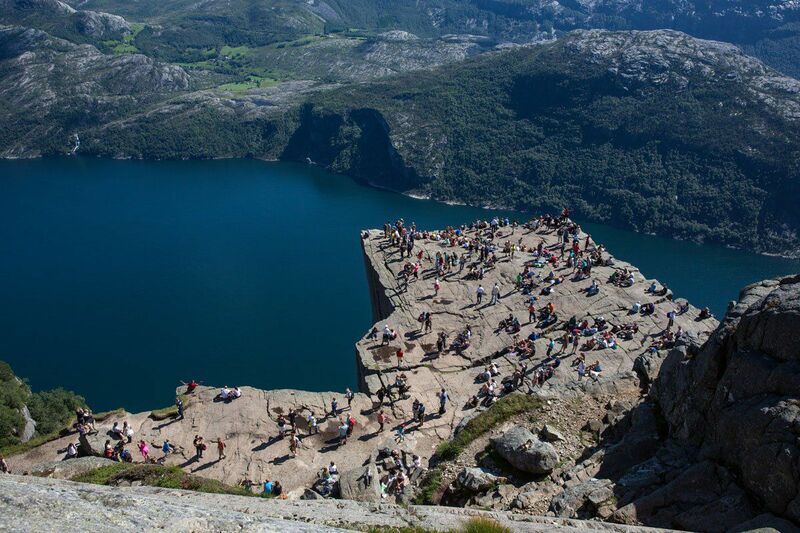 This giant monolith is also known as Preikestolen. The hike is five miles round trip, the shortest on this itinerary. It is an easy hike that anyone with average fitness can do, including children. Since it is Norway’s most popular hike, expect lots of crowds, especially during the peak travel season from June through August. 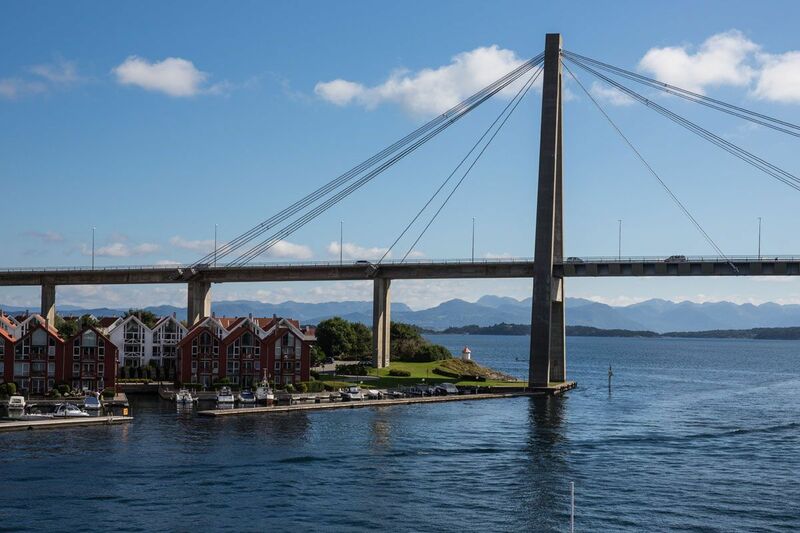 To get back to Stavanger, take the bus to Tau and the ferry to Stavanger. There should be plenty of time for dinner in Stavanger. We ate at ND Sorensen’s Dampskibsexpedition Pub. The food was fantastic but it was expensive. Well, this is Norway, one of the most expensive destinations in the world. Expect to pay $30 to $40 for an entrée and $10 for a beer. This was our favorite day while visiting Norway. 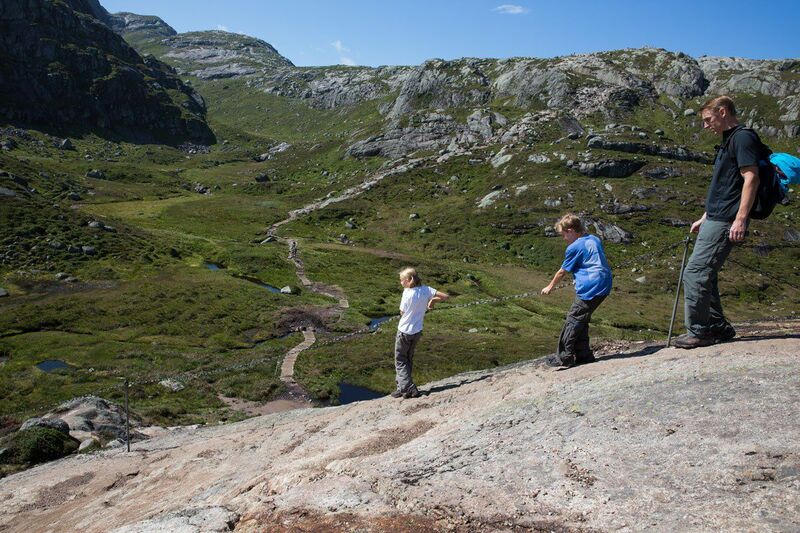 The hike to Kjeragbolten is epic, with some of the best views of the fjords in Norway along with that chance to step out onto the boulder…if you so dare! Kjeragbolten is located two hours away from Stavanger (140 km) and there are two ways to get there: a bus service that only runs during the peak summer months, or by rental car. We chose the rental car option. For four people this was more economical and more convenient. The hike to Kjeragbolten is 12 km round trip, taking hikers between 5 and 7 hours to complete the hike. 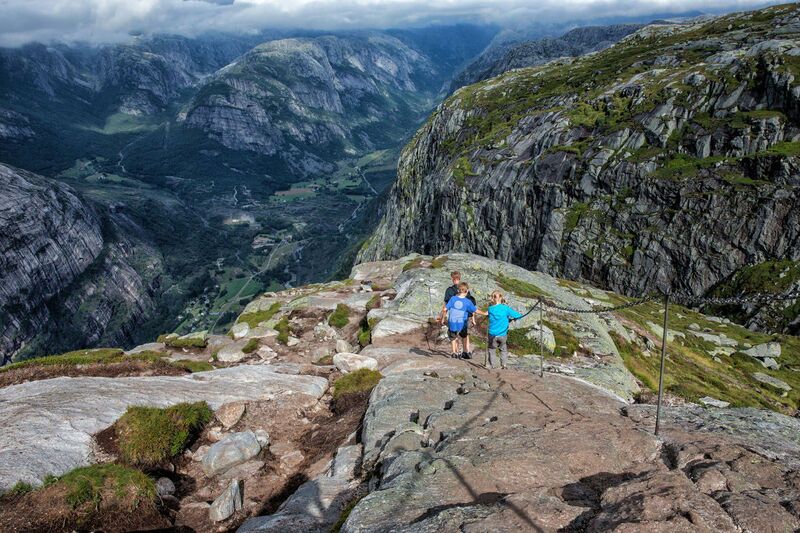 It is longer and more strenuous than Pulpit Rock, with sections of rock scrambling and chain-assisted climbing, which made this the favorite hike in Norway for Tyler and Kara. The views along the way are unbelievable. Even if you have no plans to step out onto Kjerag, this hike is still absolutely worth it for the views along the way. 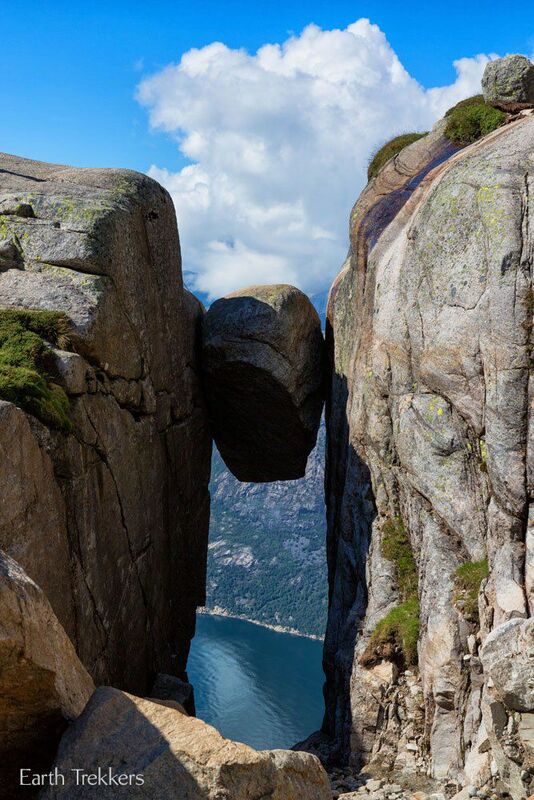 The infamous boulder is wedged between two rock faces 1000 meters off of the ground. 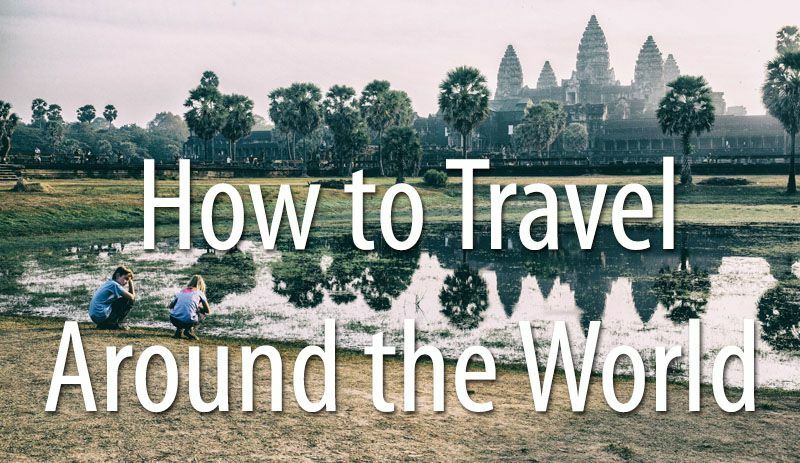 It’s a crazy thing to do but one of our favorite traveling memories, for sure! After the Kjeragbolten hike, if you are up for another adventure, then you might consider driving down (and then back up) Lysevegen Road. It is a narrow road with 32 sharp bends, an average gradient of 9.4%, and an elevation difference of more than 800 meters (2600 ft) over only 5.8 km (3.6 miles). And if that isn’t crazy enough then there is a tunnel near the bottom that turns 340 degrees. If you are up for this adventure, like we were, then when you pull out of the Kjerag parking lot turn left and you’ll start going down this dangerous, windy, switchback road almost right away. This road connects the Kjeragbolten car park with the town of Lysebotn. Drive two hours back to Stavanger, return the rental car, and get a good night’s sleep. Take a morning flight from Stavanger to Bergen. It is possible to take a bus or a ferry to Bergen, but this takes five hours and you need that time today to tour Bergen. Once in Bergen, rent another car. You will have this car until you reach Ålesund on day 10. Most of the day is available for exploring Bergen, a coastal town that was once a German settlement. 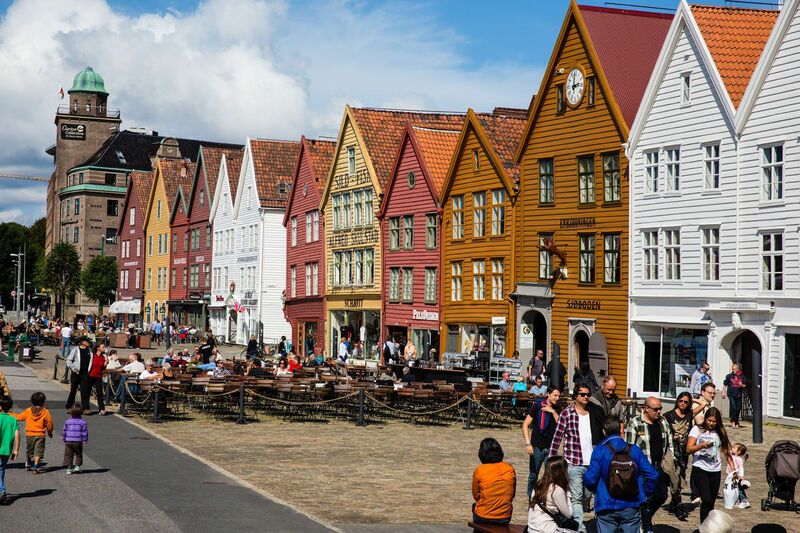 Have lunch at the fish market, wander the cobblestoned streets, take the funicular up the hillside for the best views over Bergen, and explore Bryggen, the location of the Hanseatic houses along the harbor. Once finished in Bergen, you will drive to a town near the Trolltunga hike. You have several options where to stay near the Trolltunga hike. Odda and Tyssedal are the two towns located closest to the hike. 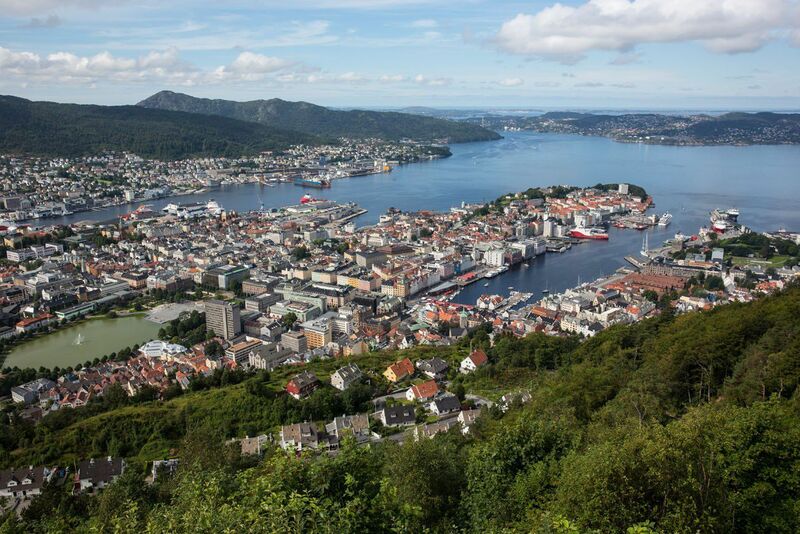 From Bergen, it takes about three hours to drive to these towns. You can also stay in Kinsarvik or Eidfjord. These two towns are north of Trolltunga, so you will have a longer drive to get to the trailhead for Trolltunga. However, since you are farther north, you will do less driving on day 6 when you go to Flåm. On the drive, there are two waterfalls you can stop and visit. Steinsdalsfossen is a waterfall that is visible from the road. You can follow the footpath behind the waterfall. Twenty minutes east of Eidfjord is Vøringfossen, a stunning waterfall that you can hike to. For recommendations on where to stay near the Trolltunga hike, read our article Where to Stay Near Trolltunga. 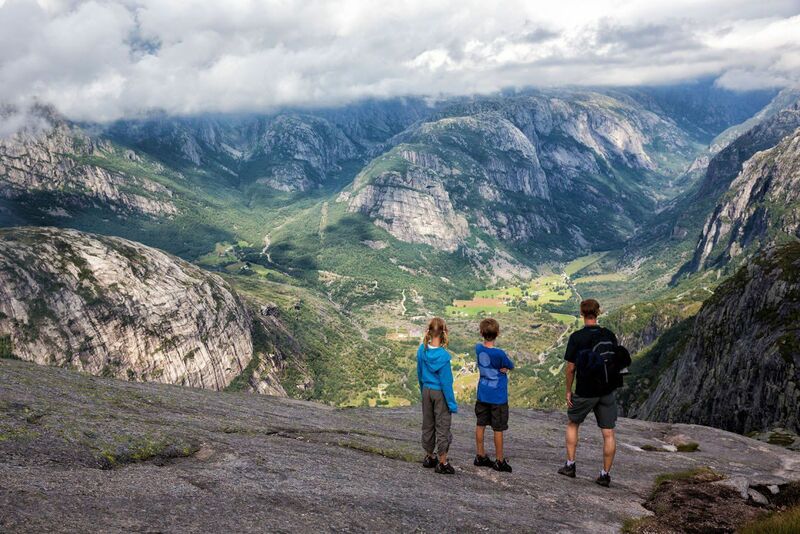 Today is another day of epic hiking and a chance to see more of iconic Norway. If you stayed in Eidfjord or Kinsarvik, it is an hour drive south to Tyssedal and the start of the Trolltunga hike. The views along the way were some of my favorites in Norway. Several years ago, the hike started as a 1 km strenuous walk up an old funicular track. That is now closed. 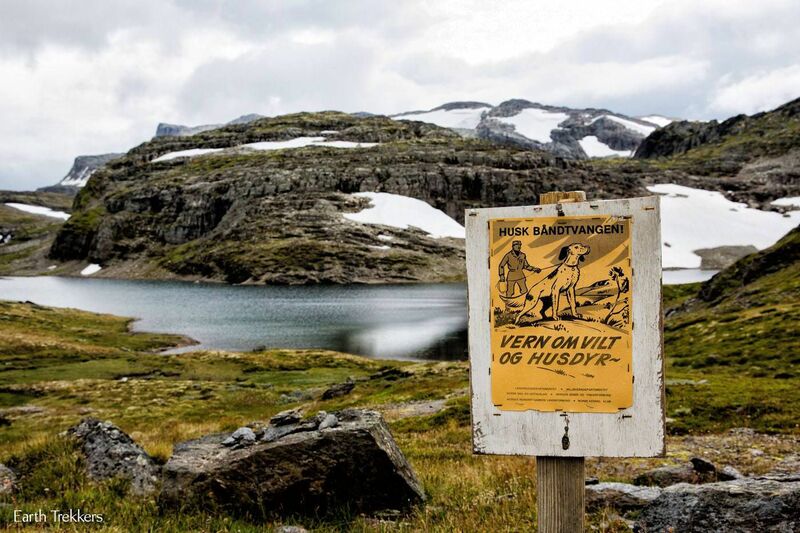 There are now several options for hiking to Trolltunga. Option 1 is to hike the switchback trail near the funicular track. This is strenuous but once at the top, it is mostly easy-going for the rest of the hike out to Trolltunga. Option 2 is to arrive very early in the morning and be one of the first cars to park in the new, upper parking lot. This drive lops off the first major descent of the hike and can save you hours of time. But you need to get here very early in the day. Read our Trolltunga article for more information. Option 3, the Sky Ladder, is a tour that has visitors cycling and then climbing a Via Ferrata, finishing the journey not far from Trolltunga. After the first major climb, whether you did on foot or by car, you are treated to amazing views. And then, of course, you get to step out onto Trolltunga. The hike to Trolltunga takes 8 to 10 hours to complete, going 23 km total. After completion of the hike, drive back to your hotel. 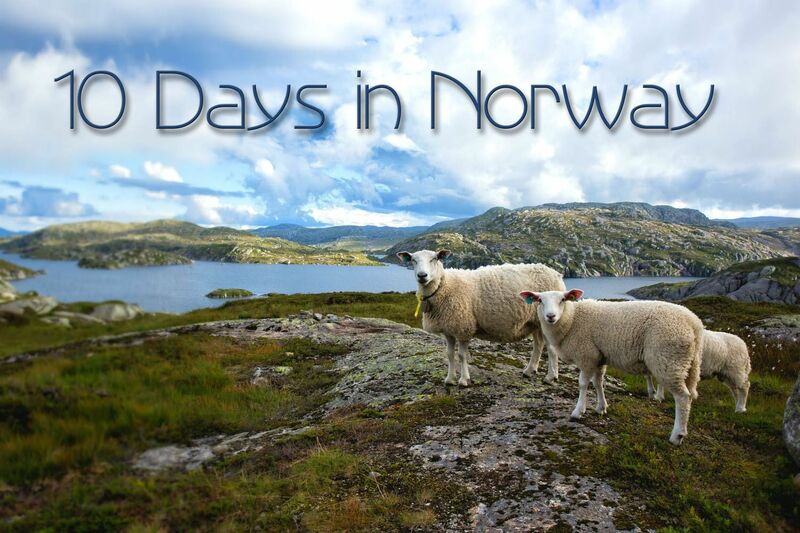 The Norway in a Nutshell tour is a very popular excursion for first-time visitors to Norway. 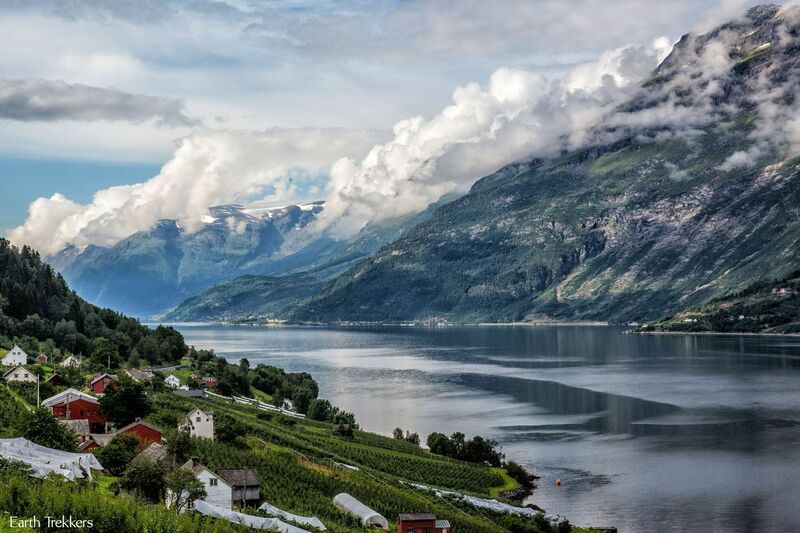 This tour includes a cruise on Naeroyfjord (a UNESCO World Heritage Site and the narrowest fjord in Norway) and Aurlandsfjord, a railway journey to and from Myrdal, and a spectacular view of the Naeroydalen valley from the Stalheim Hotel. If you are following our itinerary and/or have your own transportation, then it is not necessary to book the organized tour. You can follow our guide on how to do Norway in a Nutshell on your own. You’ll want to drive to the Stalheim Hotel, where our guide begins. Once the tour is over it is time to drive to Balestrand. On the way, and only about 30 minutes from Flåm, is the Stegastein Viewpoint, a scenic lookout over Aurlandsfjord. From this viewpoint you can continue along the Aurlandsvegen Snow Road, a high mountain road with spectacular scenery. Or you can back track down the mountain and take the world’s longest tunnel, Lærdalstunnelen (24.5 km or 15.2 miles). Where We Stayed in Balestrand: We stayed in the Balestrand Hotel, a nothing fancy, family-run hotel. If you want a nice view, request a room overlooking Sognefjord. Today is a full day of driving but if you get lucky with the weather (we did not) the scenery is amazing. 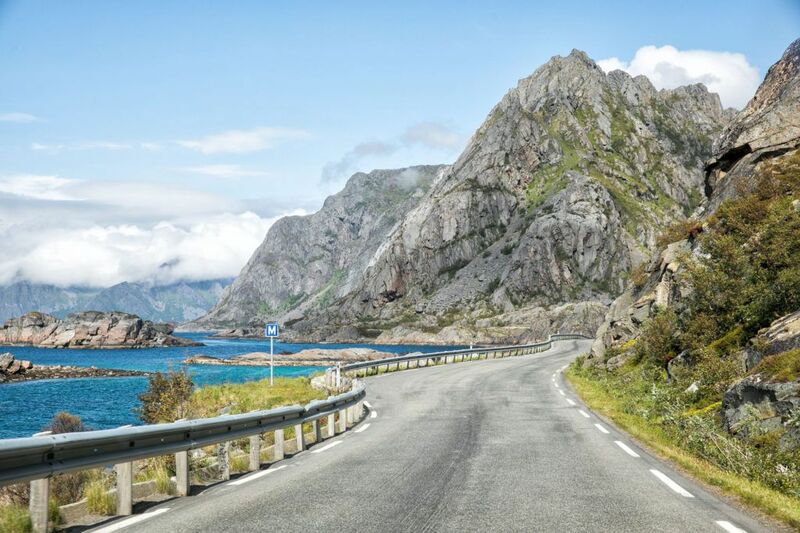 This drive takes you along fjords and through small towns, giving you plenty of opportunities to stop for food along the way. Dalsnibba Viewpoint – highest of the views of valley and fjord. The road here is Norway’s highest car road. 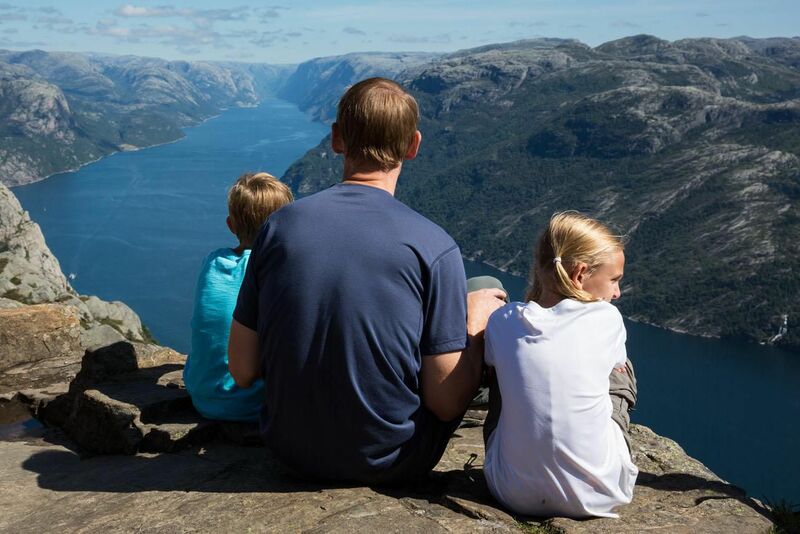 In the afternoon, you will arrive in Geiranger, a UNESCO World Heritage Site and a fjord known for being one of the most spectacular in Norway. Where We Stayed in Geiranger: Hotel Utsikten. 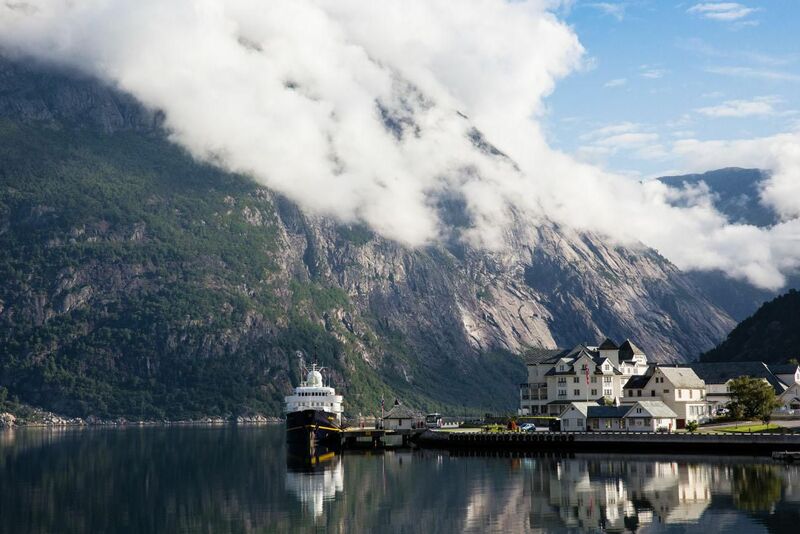 We chose this hotel for its awesome views over Geirangerfjord. Unfortunately, during our stay in Geiranger, it was wet and foggy and at times we could barely see the fjord from the hotel. If you chose to stay here, hopefully you will have better luck. The hotel is within walking distance of the town, where you can rent kayaks and go shopping. We enjoyed hanging out at the hotel bar at the end of the day, and overall really enjoyed our stay here, despite the rainy weather. There is plenty of time in the day to explore Geirangerfjord before moving on again. There are hiking and biking trails, kayaks to rent, viewpoints to drive to, and the small town of Geiranger to explore and to go shopping. From Geiranger it is a two hour drive to the next town, Åndalsnes. 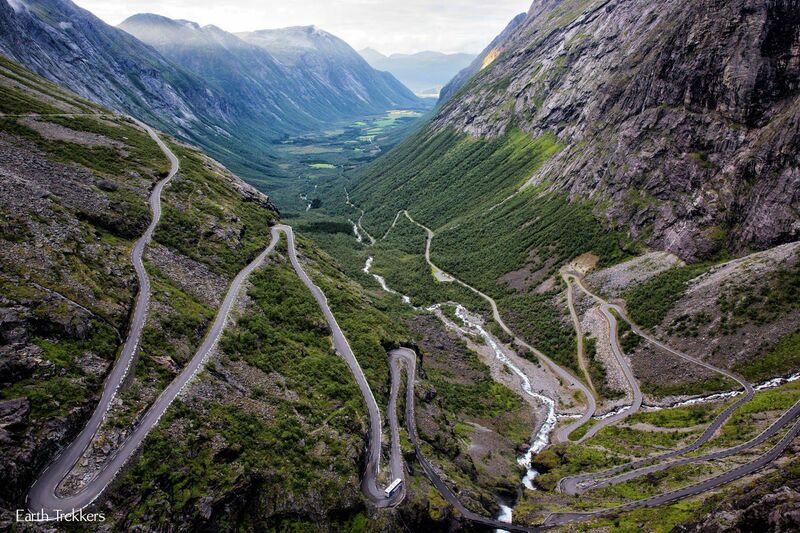 This is another scenic drive and just before arriving in Åndalsnes you will drive the Trollstigen (Troll’s Ladder), a switchback road that is one of the most popular drives in Norway. Have dinner in Åndalsnes and get settled into your accommodations. Tomorrow is an early morning. 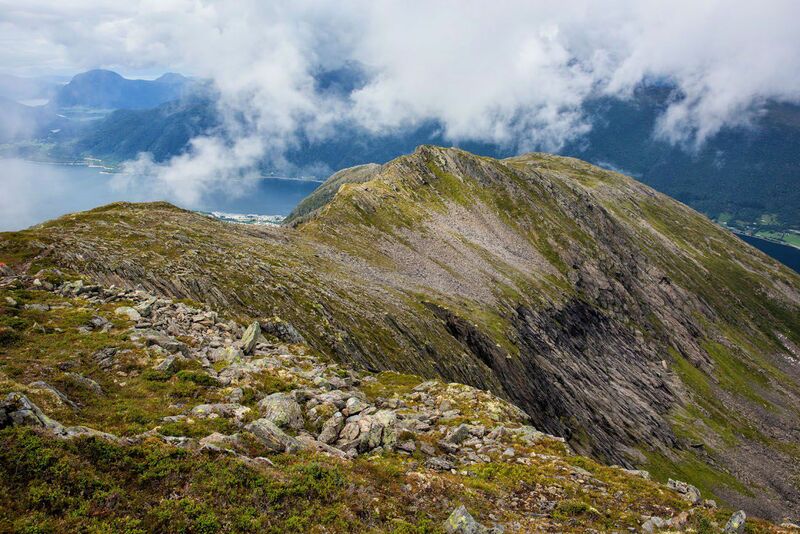 Romsdalseggen is an 11 km hike along the spine of a mountain. Although not the longest hike in the itinerary, we found it to be the most difficult. This hike can take 8 to 10 hours to complete. You can hike this trail from July 1 through September 30, when the shuttle bus is in service. Read our article about the hike for full details. From Åndalsnes, there is a bus that delivers hikers to the start of the hike. 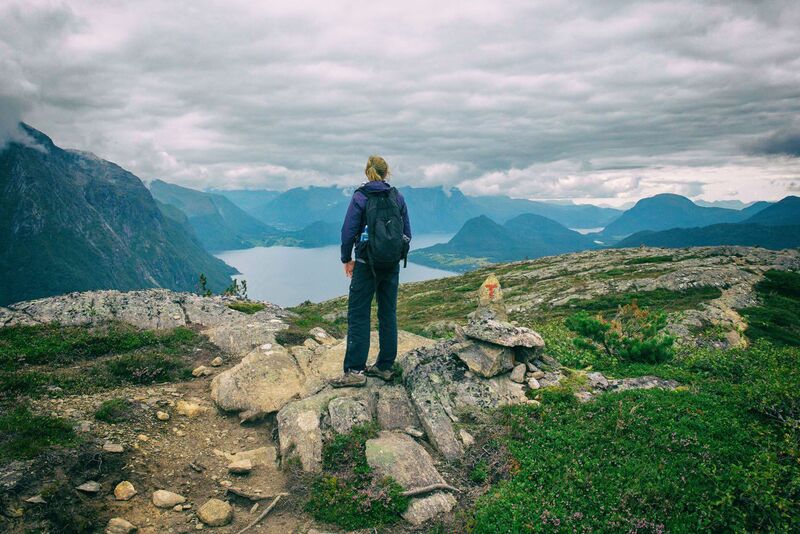 This hike is a point to point hike, starting on farmland and ending in the town of Åndalsnes. Weather can be unpredictable…we were here in August and there was a chance of snow in the forecast. The hike starts off with a strenuous climb, taking hikers to the spine of the mountain. From here, on a clear day, you can see all of the way out to the Atlantic Ocean. We were not so lucky, but even so, the views were still amazing. 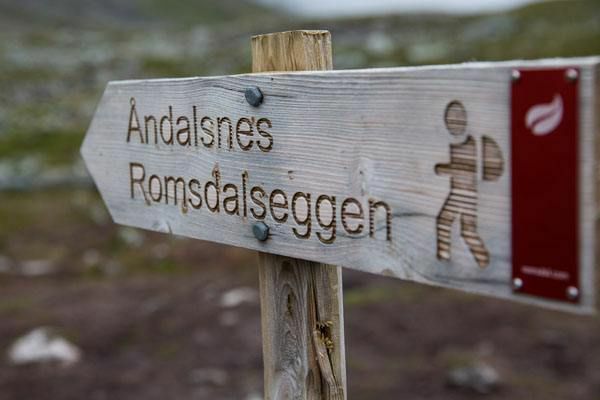 If you don’t want to hike Romsdalseggen Ridge, or the weather is not cooperating, you have the option to hike to the Rampestreken viewpoint. This viewpoint is located along the Romsdalseggen trail and overlooks Åndalsnes and the valley. It takes roughly 3 hours round trip to hike to the viewpoint. With 700 meters of climbing, it a strenuous walk to get here. After your hike, enjoy dinner in town. From Åndalsnes it is a two hour drive west to Ålesund, another coastal town. 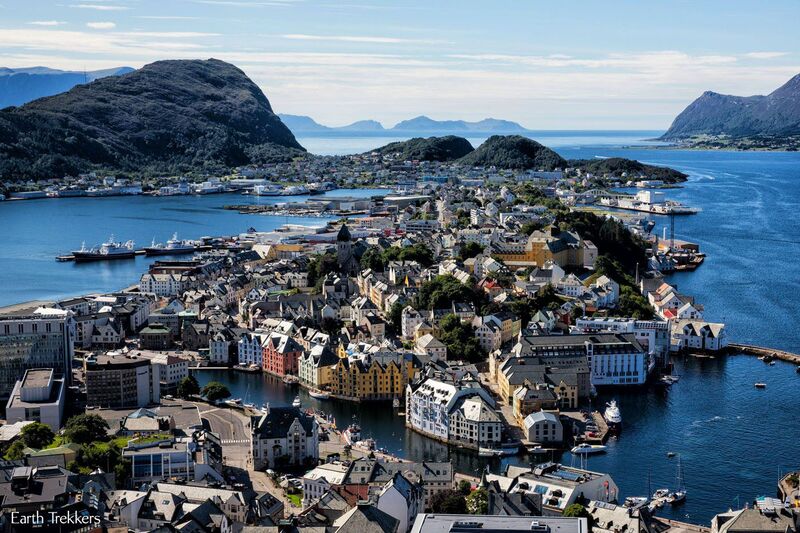 Enjoy the day exploring Ålesund and don’t miss the walk up the hillside to Fjellstua for the best views of the town. In the afternoon, fly to Oslo, completing your tour of Norway. Where We Stayed in Oslo: The Clarion Royal Christiana. This is a four star hotel located in downtown Oslo within walking distance of the train station and the Oslo Opera House. My favorite thing about this hotel (other than it’s great location) was the huge breakfast buffet. 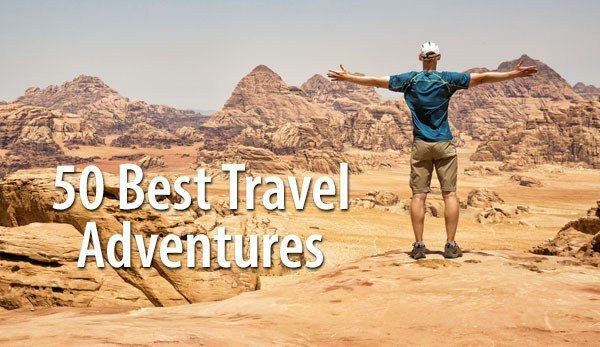 The best time to do this itinerary is between June and September, especially if you plan on hiking these trails. Snow lingers on some of these trails up until June. 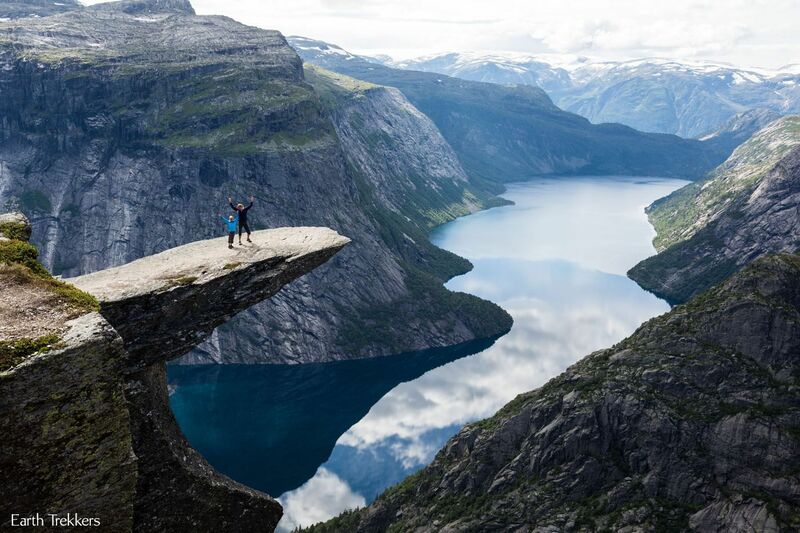 The earliest you can hike Trolltunga without a guide is June 15, according to the Visit Norway website. Pulpit Rock: You can hike Pulpit Rock from April to October. For the remainder of the year, the trails will be covered with snow. It is only recommended that you hike Pulpit Rock from November through March with a guide. 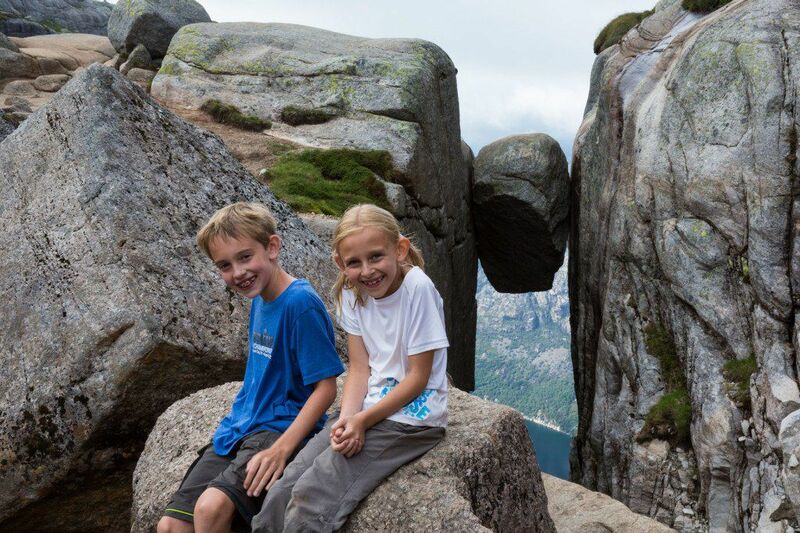 Kjeragbolten: The best time to hike Kjeragbolten is from June 1 through September 31. The bus from Stavanger does not start running until June 1. Before June 1, snow can still cover the roads, so you may not even be able to drive to the start of the hike. Trolltunga: June 15 to September 15. All other times of the year you should hike with a guide. Romsdalseggen Ridge: June 30 to September 30 (when the shuttle bus is in service). For your best chance of clear weather, visit Norway in the spring and early summer. In August, rainfall chances increase. It is not unusual to have rainy weather during September and October. If you do not plan on hiking, some roads on this itinerary can be closed from November through May. Trollstigen and the Aurlandsvegen Snow Road make it onto this list. For a list of possible road closures, plus their dates of opening and closing times, click here. We did this same itinerary in early August. 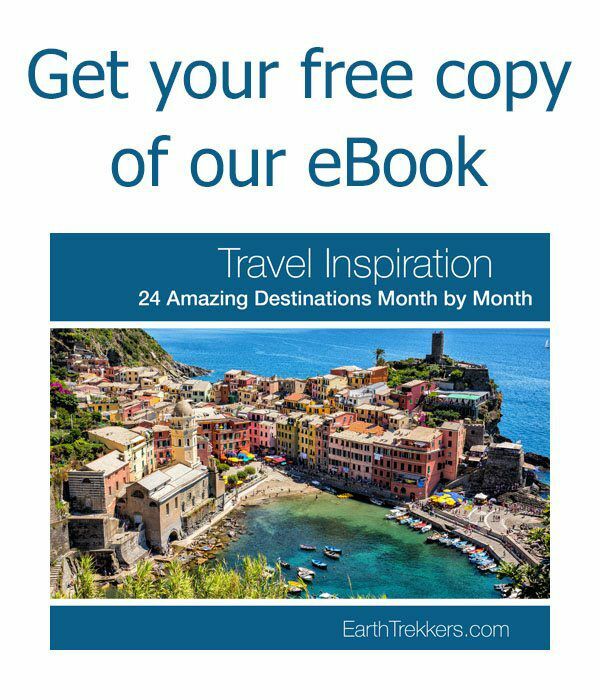 Are you planning a trip to the Norway? 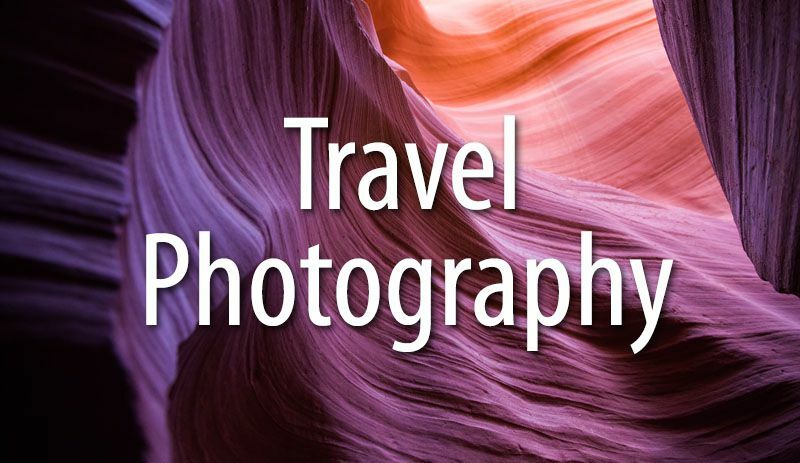 Read all of our articles about Norway in our Norway Travel Guide. Hello! 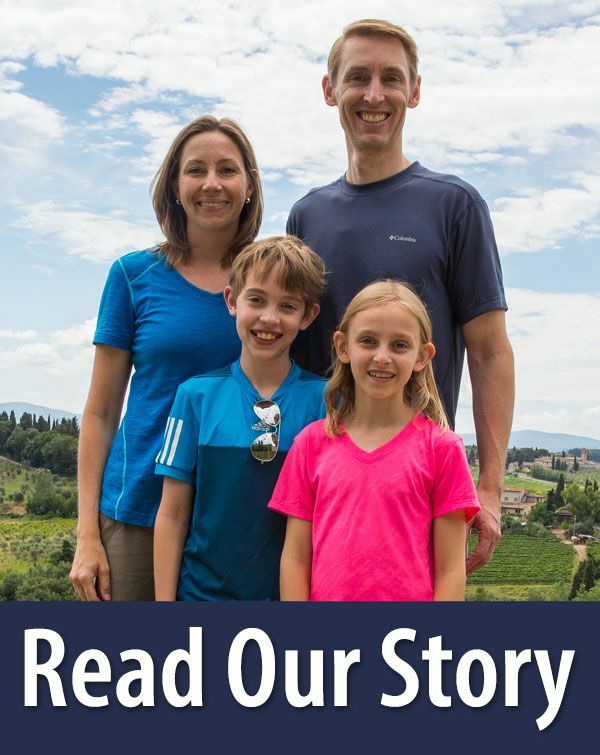 I want to do the 10 day travel hike you did with my two girls who are 8 and 11 years. Think it’s possible? What about doing this with only the three of us? what would you say the cost came to, maybe not the exact but close? Anything I should know about doing this trip with kids? I’m interested to know which car rental company you went with from Bergen to Alesund, and how much you ended up paying, as they all seem to be charging through the roof given it’s being returned in a different location. Thanks for the quick and thorough response Julie! 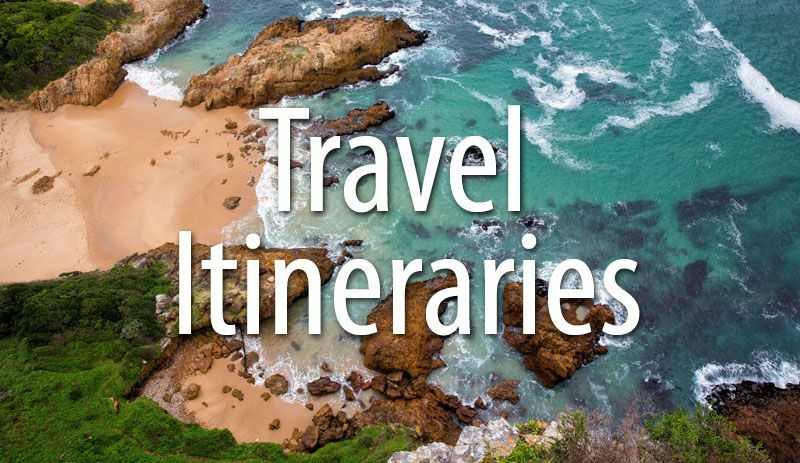 I’m now looking into public transport options for 2 people at the same rate of travel as your itinerary during the period of late May to June. Would you happen to know if this would be achievable? I’m really keen to follow the path you’ve travelled on. Love this itinerary but since I am going as part of my business trip in April, I guess many of the hikes will still be closed. Would you recommend your Lofoten itinerary for late April? I heard it might be too late for Northern Lights as well but my main concern is driving conditions. Thanks! Day 1: Arrive in Stavanger. Explore. Day 2: Pick up rental car. Pulpit Rock hike. Scenic drive. 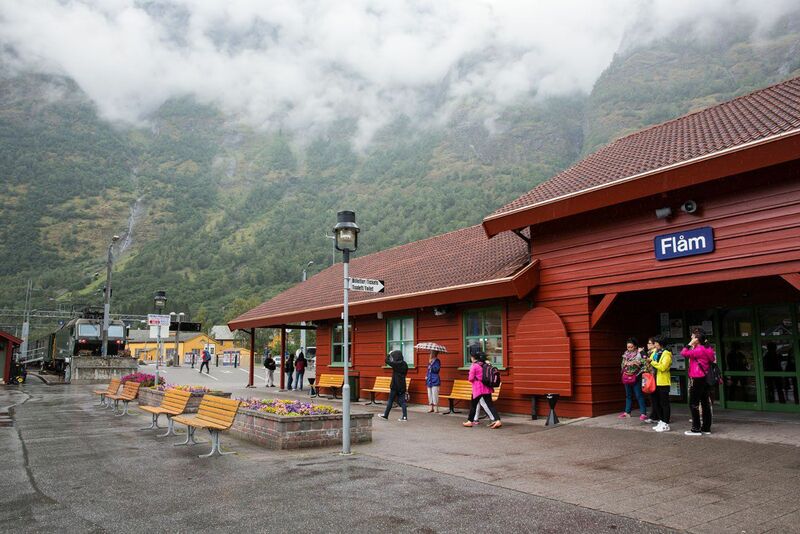 Day 4: Drive to Flam and Flam railway. Spend the night in either Flam or Undredal. 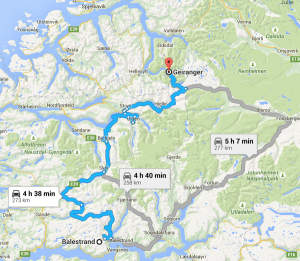 Day 5: Drive to Geiranger, through the scenic route. Spend the night in the area. Day 7: Drive to Alesund. Day 8: Leave for US. My gf and I both like the small village/town experience. Are there any small towns/villages we could visit/spend the night at between Flam – Geiranger or Geiranger – Alesund? Or do you not recommend any in between? Also, is there an alternative place to spend the night than Flam? Alternative to Geiranger? Or do you recommend we stick to staying in one of those 2. Sorry if the question is confusing. I suppose I just want to break up the monotony of long drives (I know the scenery is amazing! 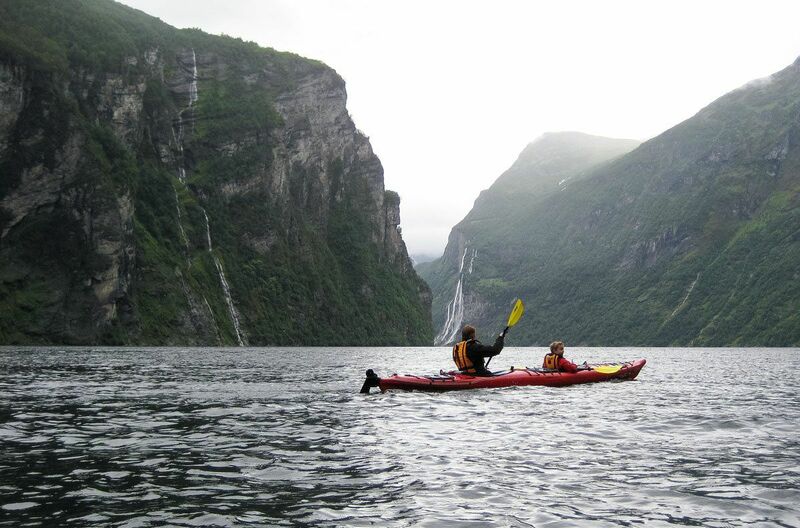 ), with visits/stays in smaller, quiet towns, ideally fjord-side, on any of the long driving stretches. Also, to see if its worth staying in any other village aside from Flam and Geiranger. My family is planning a similar road trip this July, though we are not flying between towns, just driving. We are planning to pick up our car in Stavanger, drive through Bergen, Aurland, Jotunheim and return the car in Oslo on a two week trip. I’ve done a tone of searching, but can’t seem to find anywhere how much to budget for fuel and ferries. Would you be able to give me an estimate? Thanks! Hello!! thank you for the awesome Blog. I’m looking to plan a solo hiking trip to Norway and really dig your 10 day Norway butttt also want to squeeze in the Lofoten Islands. Would it be doable to do a few day Fjord cruise from Trolltunga to the Islands? then spend a few days hiking the Islands? That way I’ll still do the epic hikes of Pulpit Rock, Kieragbolten, and Trolltunga. Plus the town of Bergen. I’ll get a cruise of the fjords and hike the Senja hike in Lofoten. 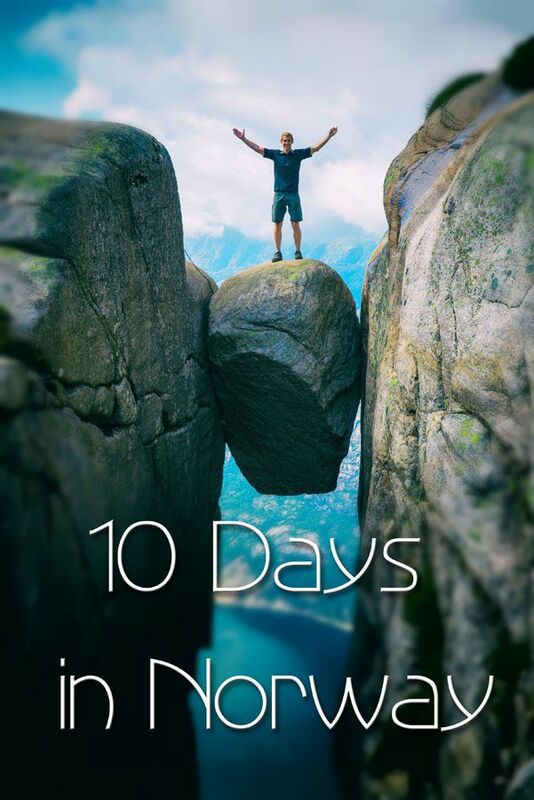 1. is my idea doable (to cut short your 10 day Norway and add a few of Lofoten Islands)? 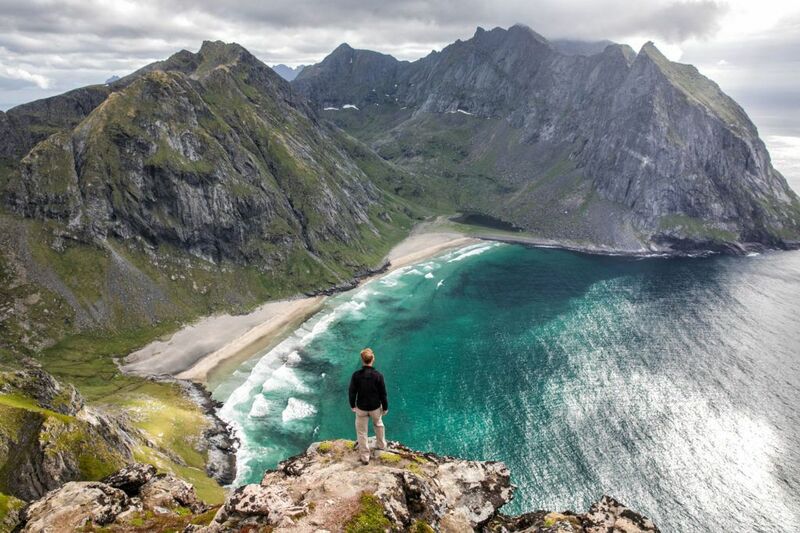 2. if you only have a 3 days of Lofoten what would you do…I’m thinking the Senja hike for sure….anything else? 3. is there a cruise of the Fjords that would take me from around the region of Trolltunga to Lofoten? 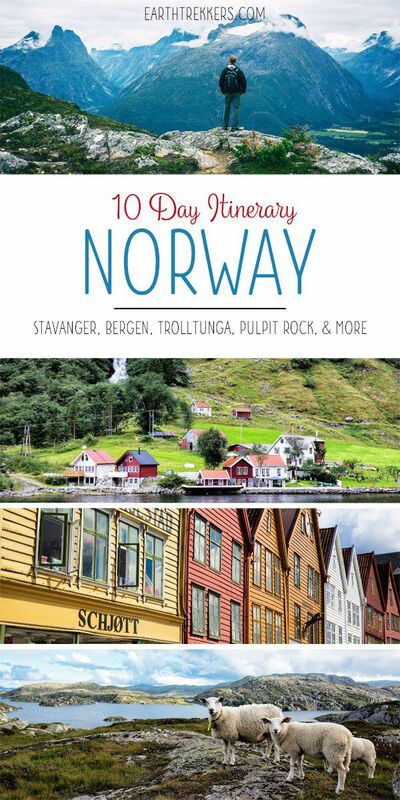 My husband and I are using this itinerary for a trip to Norway in mid-September. We have 2 extra days, but as we are pushing the Sept 15th deadline on the Trolltunga we can’t use them on the first half of our trip. We were thinking of adding an extra day in Geiranger and another to Alesund (we take off directly from Alesund so will not be flying back to Oslo). Is this something you would recommend? If so, do you have any additional recommendations on what to do with our extra time here? Thank you so much, we are so excited to use this fantastic itinerary! Unfortunately, we recently learned that Norway in a Nutshell does not do trips from Oslo to Bergen on Sundays, so rather than waiting a day and potentially missing out on our itinerary, we are considering doing our original itinerary in reverse (Oslo to Andalsnes to Geiranger, etc). Do you see any problems with doing the itinerary in reverse? Or if you have additional recommendations, I would welcome those as well. We are both outdoorsy and plan to do some hiking (where possible in late May) while we’re there. Thanks!